Have something interesting to share about our community’s history? You can share it with us here! Just click on the “Submit a Story” link to get started! It’s that easy! Your submission will be sent to our editors for approval. Once approved, you will be able to see your post on this page! 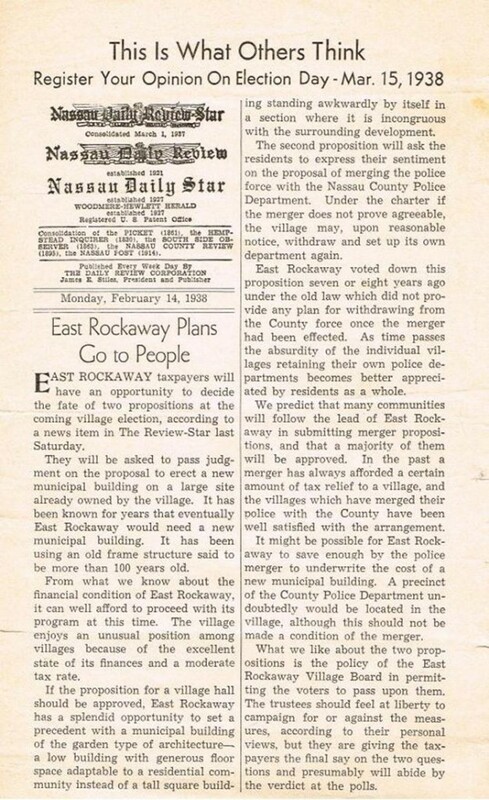 This article was originally published on February 14, 1938. What a great find! Click the image to see the full article. You have read previously about the work of these three stalwart researchers and one indomitable photographer who put together portfolios of research that was unexcelled. Rebecca Schimmel, Lynbrook High School Heritage Scholar, Donald Krendel photographer and homeowners Ernest and Matilda Tarmin worked together to prepare and present the documentation necessary to make recognition possible. 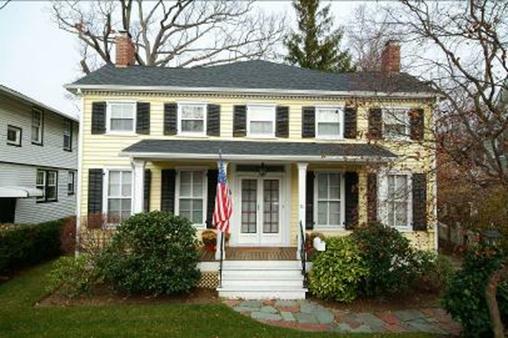 You’ll recognize this house because it stand out as a well preserved “old” house on Ocean Avenue. The number two success was accomplished by Art Mattson, HSERL Director and Lynbrook Village Historian, Donald Krendel and Tina Gonzales and David Byrne, homeowners. This house is equally old but it is hidden.. 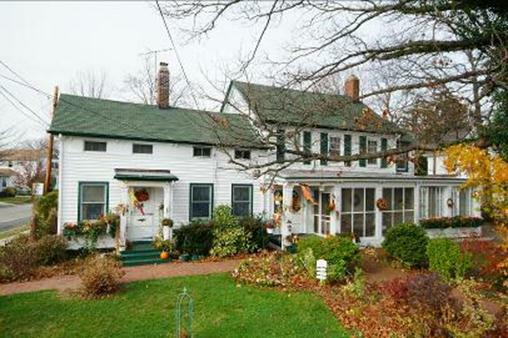 While other houses claim similarity, this one made it to the National Register. It is located on Grove Street. Bob Sympson, who actually initiated this project several years ago after viewing the Denton House in East Rockaway, wherein Betsy Davison vividly recalled many happy days of her youth visiting Delameter Denton. said “Why not get recognition for the beautiful old homes which are part. 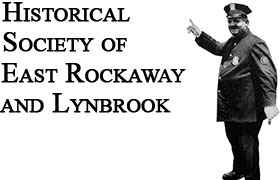 of the history the south shore especially East Rockaway and Lynbrook. He worked with John and &Cassandra Brannick and Donald Krendel to make it work yet a third time. 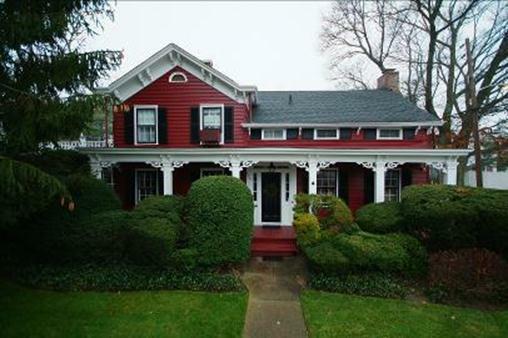 This home located on Rockaway Avenue probably has as part of its footprint one of the first saltboxes in the area. Thus these three Lynbrook homes proudly join the Haviland Davison Grist Mill, more familiarly known as the East Rockaway Grist Mill Museum on the New York State Register of Historic Places.